The Paperless Classroom? Here's how. - Be your best teacher! The Paperless Classroom? Here’s how. What?! 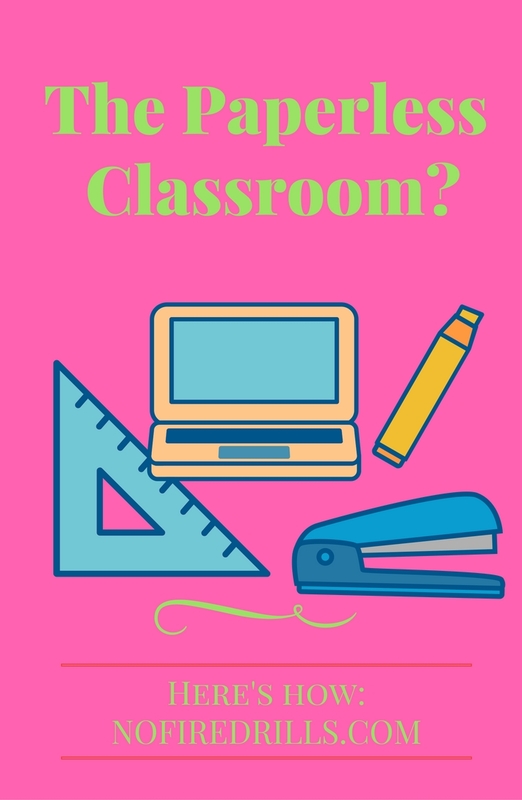 A paperless classroom? You’ve never heard of such a thing?! Well… guess what. It can be done. I teach 5 classes of 34 students in an urban public school. Do you know how many trees I was killing a year? Fine… thats not the “real” problem. Do you know how much time I was WASTING in the copy room a year? Now that! That was the real problem. So I made a decision. I’m going paperless. Here’s how I did it, and YOU can too! First, create a website that is user friendly. I liked using wordpress.com for my website but my school offered Moodle and Google Classroom as options as well. Second – check in with your students. Ask them to speak to you privately if they don’t have the resources to print from their homes and can’t afford to do it in the school or local library. You can print a few extra copies for them if necessary. Third, stay active online. Give students weekly assignments and have them print them on Sunday night so they don’t have to go online every day. Your website can be used from year to year. You can hide resources once you are done and unhide them the next year to make edits. Don’t be afraid to make a change in your teaching style, especially if it means you will save yourself VALUABLE TIME, that you know you could use doing other things like lesson planning and grading (oh wait? That can be done paperless too?) Check out my post here for how to turn your grading into a virtual world. Hi! I love your blog and ideas. I teach science and geography and have used a class blog for years and interactive notebooks in class. Having the kids print papers in such a fabulous idea. I can’t believe I never thought of it! Did you have to get administrative approval or did you just do it? If you had to talk with your admin, any tips on persuading them to let you do things this way? Hi Danielle! Thanks so much for your support and your question. I think the answer depends on the grade level you teach. As I teach an “AP” course it comes with the understanding that the teacher has flexibility to treat it like a college course. I would double check with an administrator if you’re uncomfortable and think you will get push back first. Otherwise start slowly. See if your students are reliable in printing one item per week and then gradually up what they have to print. I would say try it out this year with the last few months of school and if it works well start from August/September so that is the only way the students know. When talking to an administrator I would recommend saying you are interested in “trying” it out this year in the hopes to move towards this model in the future. I hope that helps! Hey, Thank you for your reply! I’m sorry I’m the worst about responding back. I liked your suggestion, and have been trying it out, but have had some accountability issues with my students–usually with paper assignments in their notebooks almost 100% complete assignments, but with printing things out I’m having a handful in each class that have “wi-fi issues” or “printer issues” and show up Monday empty handed. Did you run into this at all? Did you keep some spare printouts just in case? So the only issue you resolved with this is how much time you spend copying? Great idea for AP classes, but not so much for other grades.